Details: Two Bedrooms, Two Baths Beachfront Property with 920+/- sq. 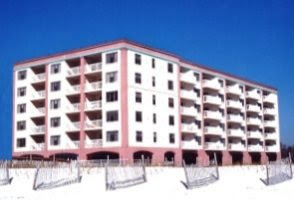 ft.
Gulf Shores AL condo for sale at Ocean House. Very well maintained gulf-front residence located in a popular rental community convenient to shopping, dining and entertainment. The beachfront master suite has direct access to the private balcony. This condominium home has a new 2018 HVAC condenser, 2014 HVAC inside, 2017 new paint, carpet and furniture, Community amenities include a lagre zero-entry outdoor pool, kids pool, BBQ grills, hot-tub, workout facility and more. Wireless/wired internet, cable, and telephone included in condo dues. Ideal real estate investment and/or second home – come see this one!